Review by Jacqui Sahagian. Photos by Jake Giles Netter. The U.K. post-punk quartet Savages came off their set at Shaky Knees (where we also caught them) to play Exit/In last Saturday, bringing their raved-about live show to Nashville for the first time since 2013. The women did not disappoint even with all the hype surrounding their high-energy performances and their sophomore record Adore Life. This band is something supremely different than you’ve heard before, definitely different (thank god) than anything going on in music right now, and beautiful hope for those of us who look at the world and don’t really like what we see. Read on for our full review of the show, including the opener Head Wound City, and check out some great photos from the incredibly talented Jake Giles Netter. 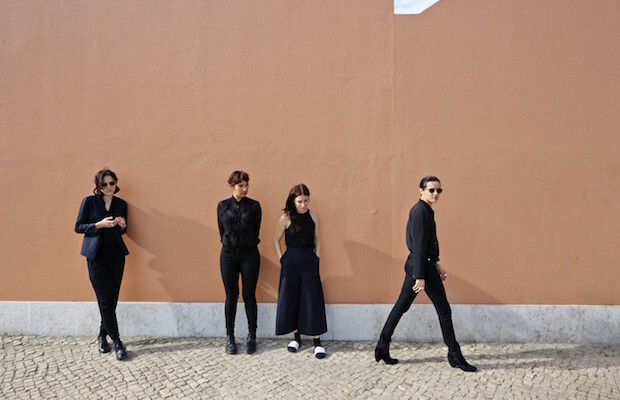 The U.K.-based post-punk band Savages are tearing through Nashville on their tour supporting their critically acclaimed second album Adore Life, playing Exit/In tonight. If you weren’t the lucky winner of our ticket giveaway, tickets are still available for $20, and if you’re into dark rock and roll with poetic lyrics and a frontwoman who sounds like a French Patti Smith, then you definitely don’t want to miss this show. We ourselves said that Savages blew away Queens of the Stone Age when they opened for the latter group at War Memorial back in 2013, and since then Savages have been building a reputation for having one of the best live acts in rock. Read on to learn more about Savages, their new record, and the openers supergroup Head Wound City. 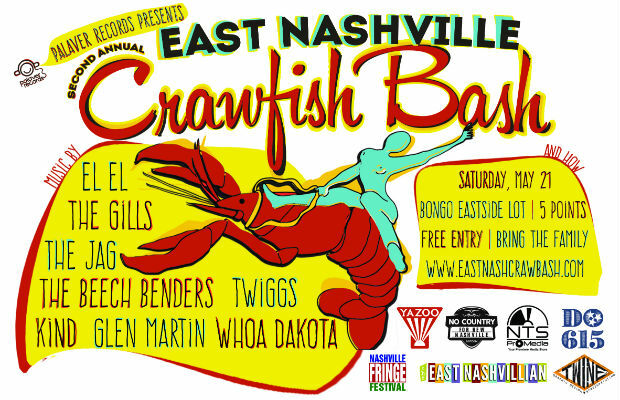 [TICKET GIVEAWAY] Win VIP Passes to Palaver Records’ Second Annual East Nashville Crawfish Bash on May 21! Mark your calendars for Saturday, May 21, because we’re partnering up with our friends over at Palaver Records to bring you the second annual East Nashville Crawfish Bash, a free day-long event with crawfish, beer, and music from some of our favorite local bands. This year ELEL, The Gills, The JAG, Twiggs, The Beech Benders, KiND, Glen Martin, and Whoa Dakota are some of the acts that will be playing starting at 11 a.m. in the grassy lot next to Bongo Java in Five Points. Crawfish will be provided by Sehrt Seafood and beer will come from Yazoo Brewery. While the event itself is free, VIP passes are available that get you a pound of crawfish, $1 off beer all day, and either a commemorative koozie or t-shirt for $10 or $30 respectively. We’re giving away a pair of VIP passes to one lucky reader, so read on to find out more about the bands in the lineup and enter for your chance to win. U.K.-based all-female post-punk group Savages are comprised of four of the most badass women to take up the post-punk mantel with well-crafted artistic noise, a singer that sounds like the French Patti Smith, two albums that have garnered raves, and a live show that’s said to be the best in rock and roll right now. 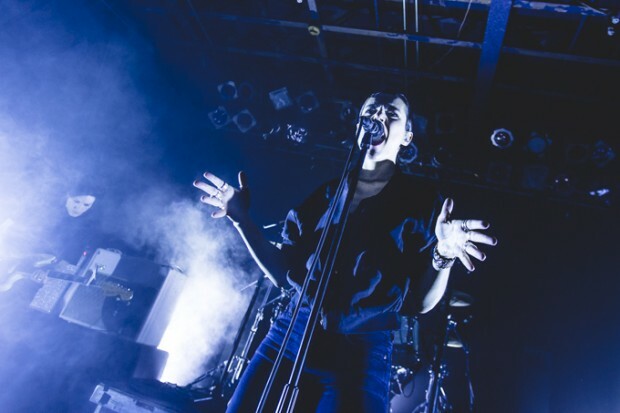 We ourselves said that Savages blew away Queens of the Stone Age when opening for them at War Memorial Auditorium back in 2013, and now the group are playing a headlining gig at Exit/In on Saturday, May 14. We’re giving away a pair of tickets to one lucky reader, who will get to see Savages’ highly praised live show — writers proclaimed them one of the best “new” acts after their Coachella performance — for free. For those not lucky enough to win, tickets are available for $20. Savages do not label themselves punk due to the presence of four white dudes who like to wear leather jackets and Converse with $500 fuzz pedals. For anyone interested in the poetry-driven music of punk and post-punk artists like Patti Smith, Joy Division, PJ Harvey, and The Birthday Party, if you haven’t heard of Savages or checked out their new record Adore Life, this band will inspire a fervent obsession. Read on to sign up for the ticket giveaway and learn more about Savages and the openers supergroup Head Wound City. Alternative Americana band Hurray for the Riff Raff have been praised for their left of center take on traditional southern music. Frontwoman Alynda Lee Segarra makes music about and for the people she calls the “riff raff” of society, drawing inspiration from the oldest American folk and country music. The critically acclaimed, New Orleans-based act are playing The Basement East tonight, April 22 with local psych-folk band Promised Land Sound and folk singer Willy Grantrim. If you weren’t lucky enough to win the pair of tickets we gave away, some are still available for $15 in advance, $17 at the door. Segarra is a politically active artist, particularly in feminist and LGBTQ issues, and I’m hoping they might still have some of these badass t-shirts with the Audre Lorde quote “Women are powerful and dangerous” for sale from her recent campaign benefitting the Third Wave Fund and Radical Monarchs. Read on to learn more about the lineup and find out why if you have any affinity for roots music Hurray for the Riff Raff should definitely be on your radar.